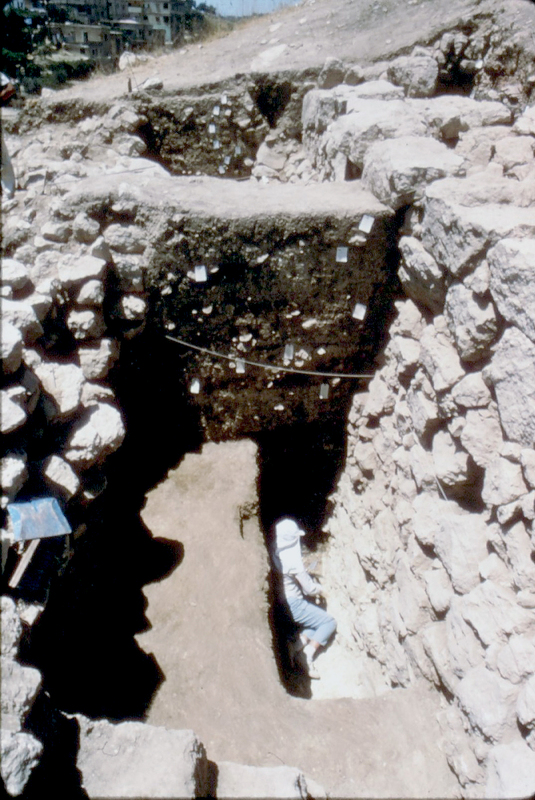 It is likely that this phase dates to the Middle Bronze Age: The latest sherds found in the fill outside the wall date to this period; and, even though only a couple such sherds exist, the construction of this wall is of high enough quality to tip the scale in this direction instead of to the Late Bronze Age II. Here I am referring to the first phase of the acropolis perimeter wall. I have added a section in my Middle Bronze chapter describing the wall in detail and its different building phases. The city was contained within this wall for the Middle Bronze Age (this is hypothesized as no other MB architectural remains have been discovered), Late Bronze Age, and Iron Age I before expanding greatly in the Iron Age IIB (although the wall continued to be in use during the Late Iron Age as well). 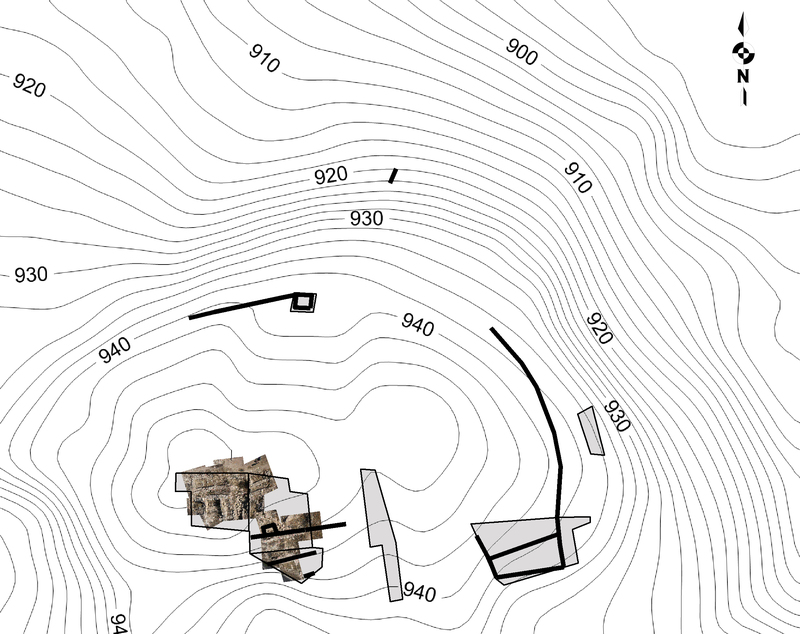 The acropolis wall is indicated by the innermost black line (with tower) at the southern end of the site. I have to do more research on parallels for this type of city wall and will write more about it in my historical/archaeological conclusions chapter, but for now my best guess is MB. The wall has not been excavated to its lowest courses on the interior, where other architecture would run up against it, and so fills outside the wall and its construction technique are all that there is to go on. A view of the wall through squares B2 and B1, looking towards the west.